Repairs your hair, nourishes and hydrates. 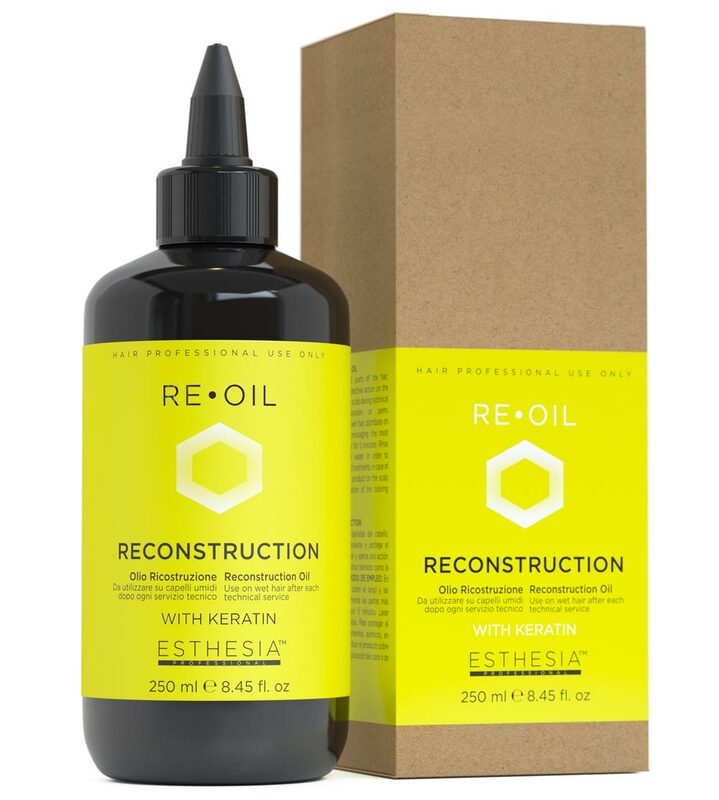 Re-Oil repairs and strengthens the inner structure of the hair in addition to giving softness, silkiness and a disciplined effect. Repairs damages caused by previous technical services by improving color rendering and durability. HOW: apply Re-Oil to the skin before the treatment. HOW: apply Re-Oil to washed and towel-dried hair, leave it on for 15 minutes under a heat source, rinse and apply the conditioner. HOW: apply Re-Oil to washed and towel-dried hair, leave it on for 5 minutes, rinse and apply the conditioner. HOW: rinse after de-coloring, apply shampoo, rinse and towel dry the hair. Apply Re-Oil leaving it on for 10 minutes then rinse. Apply a leave-in conditioner, dry and color. HOW: rinse the product, apply Re-Oil on towel-dried hair and leave it on for 10 minutes, then rinse and apply the neutralizer.